In particular, this perversity manifests itself in our ability to simultaneously desire some blessing from God yet refuse to do what God asks in order to receive the blessing. This doesn’t make a lick of sense, yet it’s been evident for thousands of years. Consider, for instance, the story of Naaman in 2 Kings 5:1-14. Here we have a desperate man, so willing to try anything to get rid of his leprosy that he follows advice from a slave girl. Based on this advice, he persuades his king to send an official letter to the king of Israel and travel into Israel himself. He obeys the messenger from Elisha and takes his traveling circus to Elisha’s house. However, when he gets his answer from Elisha, that perverse streak shows up. 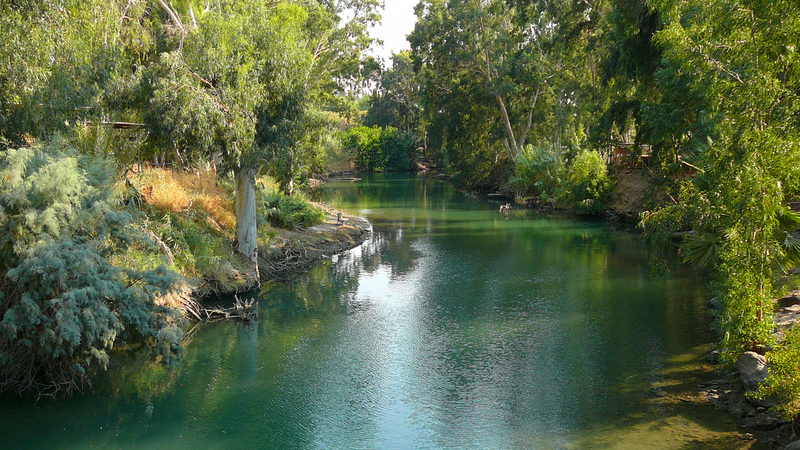 “Go and wash seven times in the Jordan,” Elisha’s servant tells him. No way, responds Naaman. Naaman had this whole vision in his head of how Elisha is going to show up with incantations and gesticulations and heal his leprosy magically. Instead, he’s told to take a bath in a river that is so dirty that it will probably leave him filthier than when he came to it. Why not just take a bath in the rivers back home, he asks. Forget it! After all this trouble, he’s perfectly willing to stomp back home, still unclean, rather than follow instructions that don’t line up with his idea of how things should go. Naaman’s servants, though, persuade him to give the insulting instructions a chance. Wonder of wonders, when he does what God asks, he receives the cleansing that God has promised. Sadly, there are untold millions of Naamans alive today. They want a blessing from God that’s even more important than cleansing from leprosy. They want to be cleansed from sin. In pursuit of salvation, they’re willing to go to great lengths and make incredible sacrifices. However, like Naaman, they aren’t willing to follow God’s instructions because those instructions don’t line up with their preconceptions. Once again, God has said, “Wash, and be clean.” Repent and be baptized for forgiveness of sins. Arise, and be baptized, and wash away your sins. And so on. People have trouble with that. They too have this whole vision in their heads of how God is going to save them, and when the reality of revelation doesn’t line up with their vision, they choose to go with how they think things should be. As a result, they are no more saved than Naaman would have been healed if he had returned to Damascus without getting wet. Like Naaman’s servants, we need to be willing to talk sense to people like this. Don’t overthink it. Don’t impose your own demands on God’s will. Just do what He says. Wash, and be clean. The same power that sufficed to cleanse Naaman will be enough to cleanse all of us too.